In 2016, we tested some of the more "relevant" software, and the results were shocking at best. Pet service business software, an emerging market oftentimes filled with claims of exceptional performance. Do any of the options live up to the hype? The pet service industry seems to have been flooded in the last few years with a wide range of products varying drastically in both quality and performance. I have personally watched as the market grew from 2 software firms back in 2008, all the way through today, where there may be more than 50 firms peddling software as a service. While sometimes considered good, to prevent market monopolies and promote competitive advancements in technology, this flooding of the market also opens up the opportunity for clients to be drawn in by often misleading advertising, fancy social media gimmicks, and other marketing tactics who's purpose is to distract you from the substance of the software with flashy features - which may or may not deliver. In the July 2016 edition of Groomer To Groomer magazine, one software boldly claimed "PetExec leads the pack in speed, reliability, and support..". This was quite a claim for the fine folks over at PetExec to make. Being the company we are, Pawfinity (then Groom Pro CRM) set out to prove or disprove their claim and set the record straight for all pet professionals. Herein lies the results of our real-world testing. We selected 5 software firms that have made the most "noise" in the industry over the last few years, along with a relative newcomer sporting some pretty grand marketing. 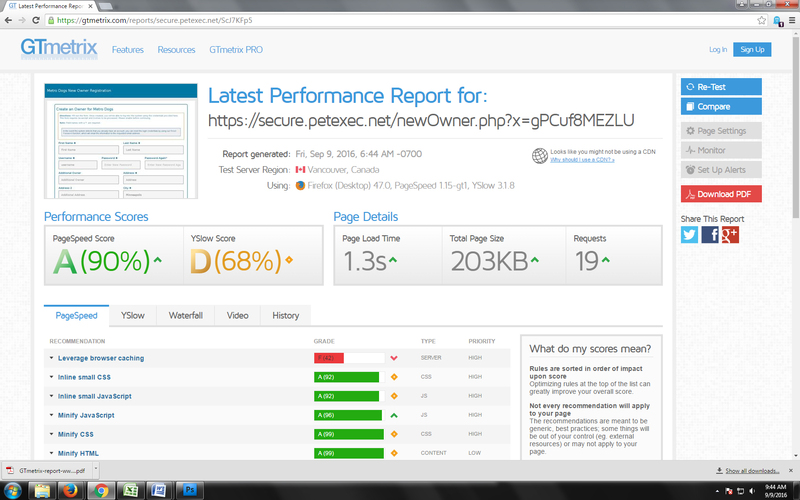 To keep the test as objective as possible, all performance testing was done using two 3rd party tools: GTMetrix and Web Page Test. To improve the accuracy of the results, GTMetrix tests were run from a server in Vancouver BC Canada (west coast) and Web Page Tests were run from Dulles Virginia USA (east coast). 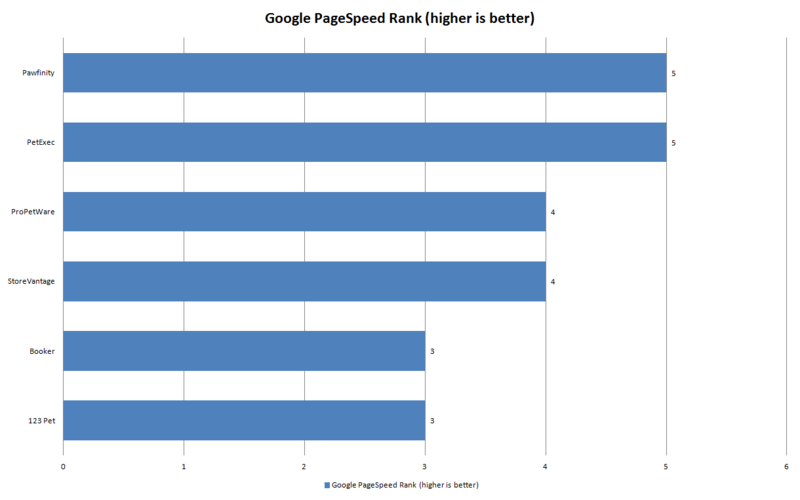 Each software was placed through performance testing on the following metrics: Google PageSpeed, Yahoo YSlow, page load time, page size, total assets downloaded, and server response time. 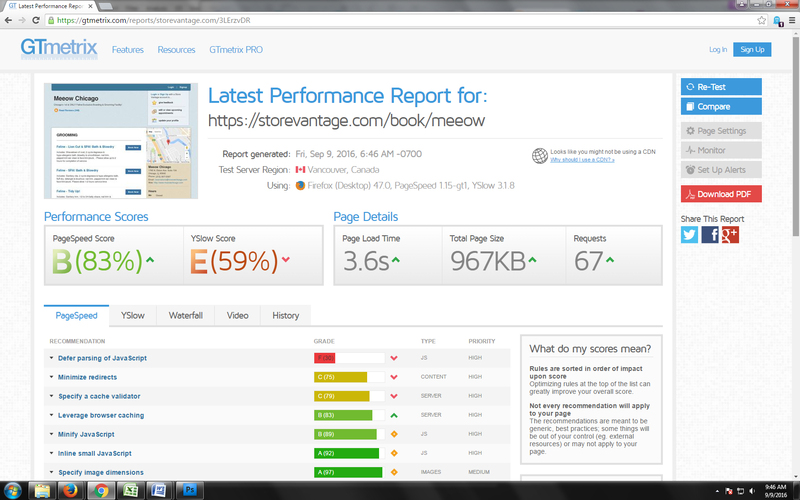 Summary: Pawfinity and PetExec lead the pack, both earning 5 points for achieving A ratings from PageSpeed. 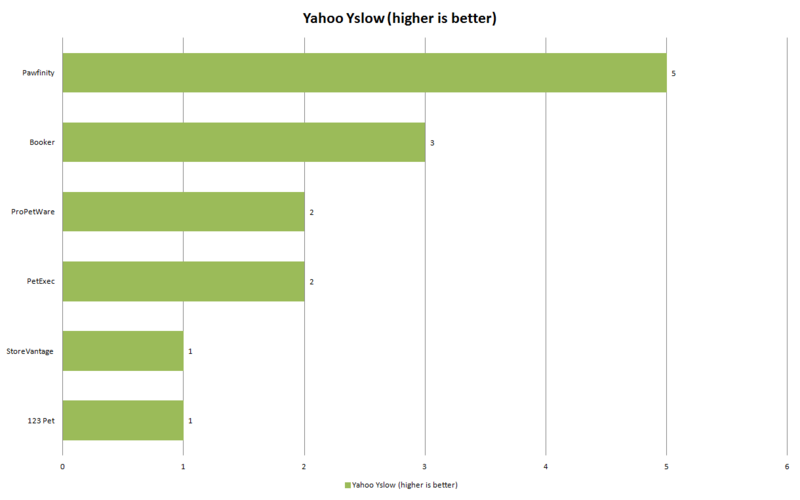 Yahoo YSlow is a similar tool to Google PageSpeed and is a great tool to evaluate a website's overall performance. Similarly to the PageSpeed rank, a low score here means the development team's attention to detail may not be what you would want for a paid service. Summary: Pawfinity was the only company to earn 5 points here, with Booker next at 3 (C). Most of the firms fell in a 2 points or lower. The YSlow rank considers server setup and efficiency to be of top priority. 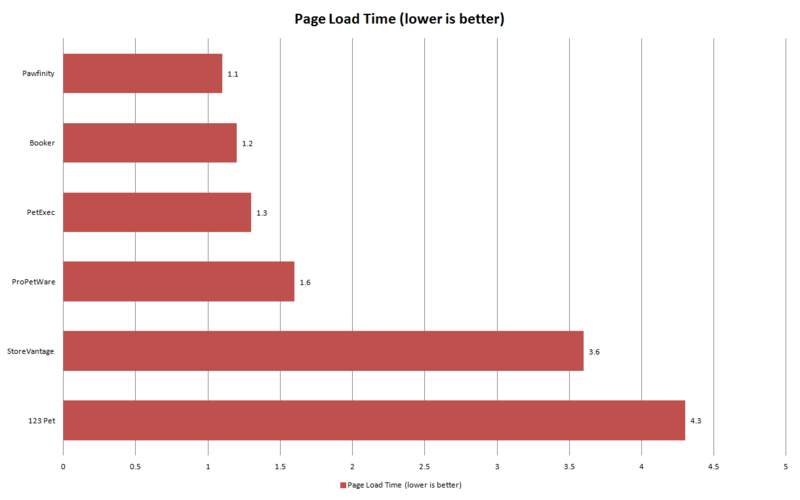 Page load is the one metric everyone feels. This is the term for the time it takes to load a page in the system. You'll experience this as a system that is slow and lagging. Summary: Once again, Pawfinity took the top spot, with Booker close behind. Take special note that 123 Pet load time was 4x longer and StoreVantage was nearly 3x longer than the top 2 products. 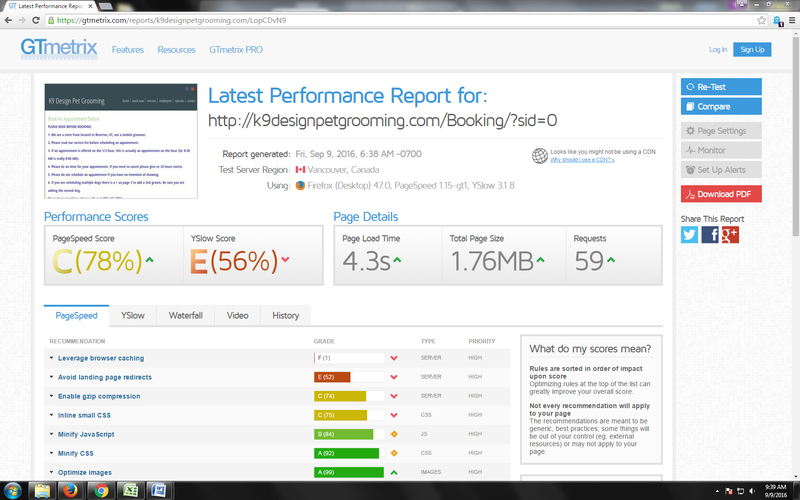 Measured here in Kilobytes, page size is an important factor in speed and overall performance. While more complex systems will have inherently larger page file sizes to accommodate their enhanced functionality, it is our goal as developers to work our magic and create capable software while maintaining reasonable file sizes. If you're wondering what a resonable file size is, it would be anything 500KB or less. Anything more than that is simply wasteful and will eat up your data plan and bandwidth terribly. 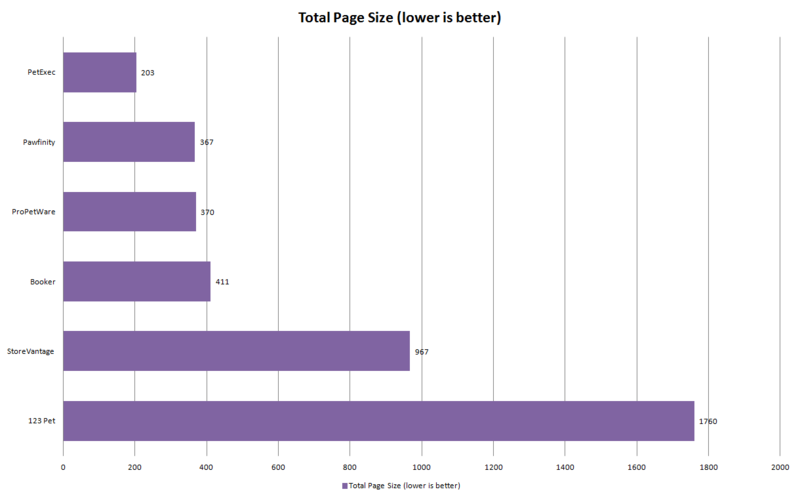 Summary: PetExec took the top spot here in page size, with Pawfinity close behind. 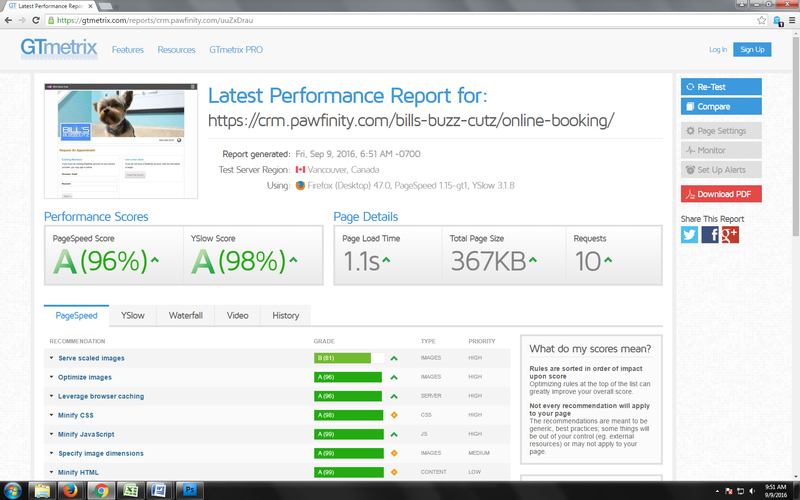 Take special note that 123 Pet page size is nearly 5x larger than the top performer. Having any page on a modern website, other than a media-rich news network homepage, that tops the 1000KB (1MB) size is simply appalling. 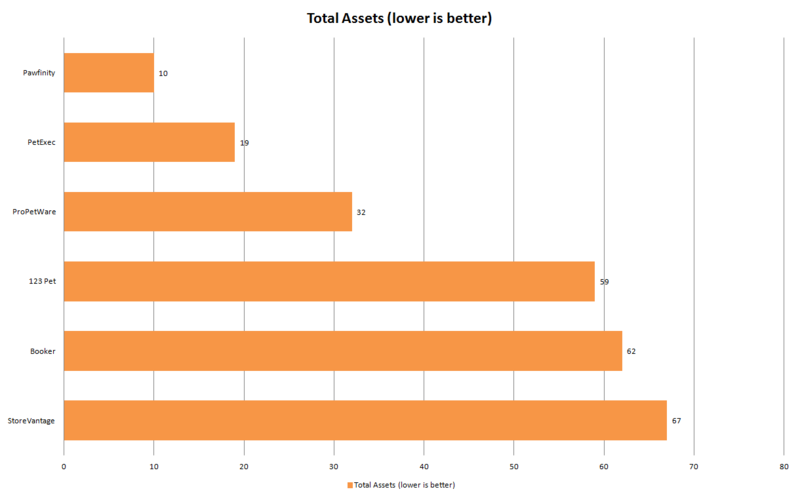 The total assets metric takes count of the total number of files, images, or scripts being downloaded from the system. Less assets means two things: your software firm has a high attention to detail and your web browser will have to do less work to download the page. Summary: Pawfinity took the lead with StoreVantage coming in last. You will notice there is a strong distinction between the top 3 and bottom 3 performers, each group having more or less equivalent assets. When combined with the other metrics, this shows a trend in development practices. 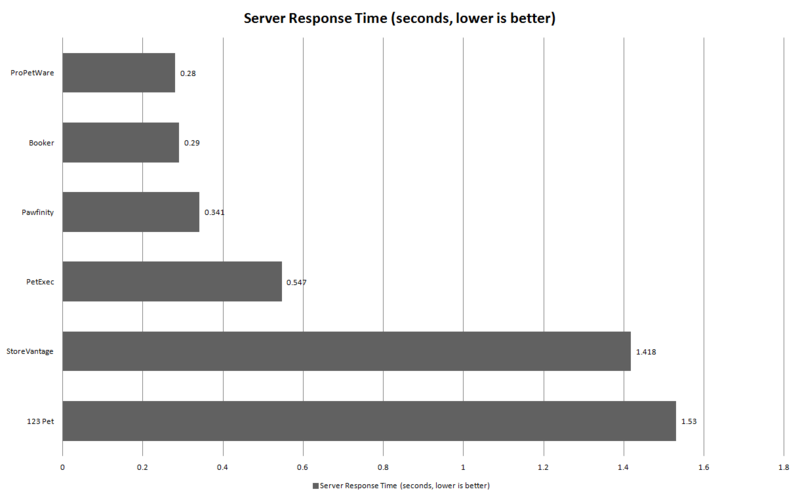 Server response time is the time it takes for the web server (computer running the software) to return a response (your requested data - eg: a client profile). The longer this takes, the more you will be waiting between clicks. 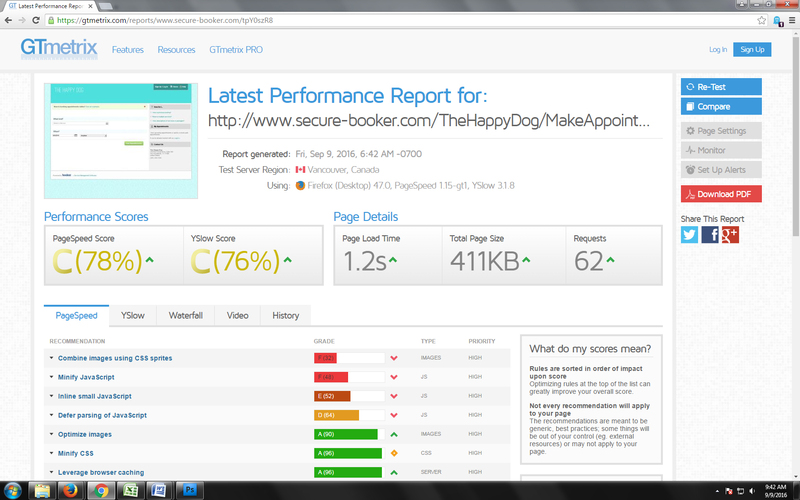 Summary: ProPetWare and Booker had some blazing server response times in this test, with Pawfinity very close behind. All 3 of the top performers were relatively even in their speed. The bottom of the chart shows StoreVantage and 123 Pet are both suffering from response time (aka latency) issues. This can be from a poorly setup server, a server that is overloaded (unlikely, as this test was performed off-peak), extremely inefficient code, or a mixture of all listed. 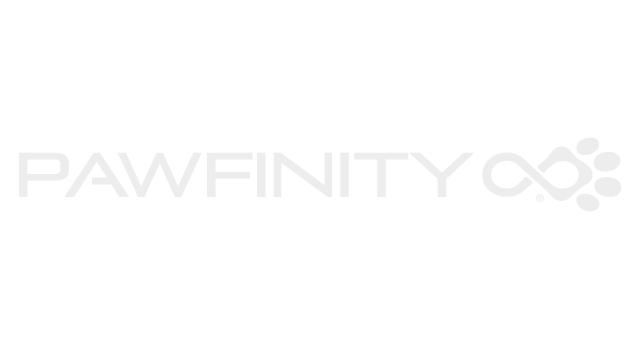 Looking over the results, it is clear that Pawfinity leads an interesting group of modern software. PetExec may have overstepped themselves just a tad when claiming they were the fastest system out there, but their system did perform well during testing, landing them in a fair second place. Despite some claims to be the "best software for grooming" in various advertisements, Booker is taking the third place position. Followed closely by a newcomer ProPetWare. StoreVantage and 123 Pet showed some major performance issues in the results of the testing, placing them far outside the competitive range for this evaluation. This head to head evaluation was intended to set the record straight with a no nonsene approach and objective measurements of comparable products. I hope this helps some prospective grooming software buyers in their journey to select a software that doesn't just talk the talk, but rather walks the walk!